In this day and age managing your professional or business reputation is very very important. Today with an online search, anybody who is a prospective client and/or employers can check you out. And fortunately, it is also possible for you to look yourself up and manage your personal reputation. Use the following ideas to do this successfully. The key to managing your reputation is by making unhappy customers happy. You need to show all your customers that you care when you turn one individual customer’s bad experience into a positive one. This is even more beneficial if you have the capacity to do it online. It will show that you care about your customers. You should keep yourself up-to-date with any news or information about the services or products you provide. This way, you will always manage to give customers useful information. Take five minutes a day and do an Internet search to read the most recent information about your company’s industry. If you make a mistake with a customer, show the world that you are mature and apologize. Everyone makes mistakes, but it takes a big individual to acknowledge that and correct it. If people see that you are truly apologetic for the wrongs you have done, it will keep it more likely that they will continue to deal with you down the road. If you own a company, you should always treat your employees well. If you don’t, consequences can be serious. Some people will not give you business as a result of it. Writing articles for publishing on other sites can enhance your online business reputation. This can help many people see you as an expert in your field. Be sure to put your name, company, and a link back to your website on each article. What you write will be dependent on the purpose of your business, your niche, and your target audience but try to keep the content as relevant to these items as possible. Pay attention to the reputation your business has offline. Your offline reputation will make its way into the online world. If negative content on your company becomes a trend, you must know why. Treat all your clients and customers well and urge the happy ones to leave positive reviews on sites like Yelp. When you are publicly responding to any feedback that is left by a customer, make sure to address them by name. People want to know that small business owner see them as individuals and not as one portion of a very large group. Using their names will give them what they want. Bring people that are looking for your product or service site directly to your website via social media. You can do this by utilizing your business name along with your personal pages on places like Facebook, Twitter or Linkedin. This will bring searchers to you instead of websites with negative and possible untruthful reviews. When you have a business, it is essential that you establish a process to handle any reviews that are negative. Always reply to negative reviews properly and quickly; otherwise, your silence can come across as indifference. It is just as important to acknowledge any positive reviews with appreciation and reinforcement. Respond as quickly to complaints and concerns as possible. The sooner you fix a problem, the lesser of a problem it becomes. 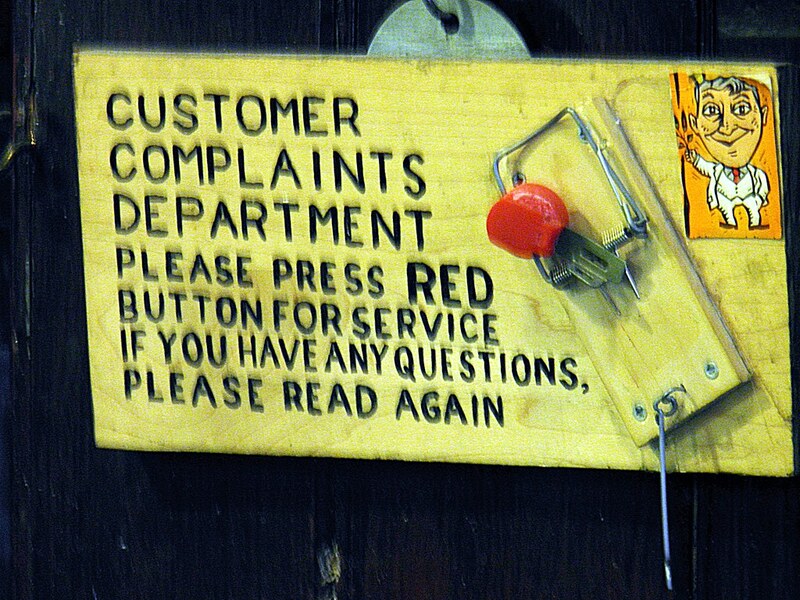 If you wait until a customer has complained across the Internet, it may be far too late. Show your customers just how much you care to keep them returning. In the Internet and social networks age, your reputation really does precede you. So you need to get personally involved and manage your professional or business reputation wisely and successfully and your sterling reputation will set you aside from the rest of the pack.